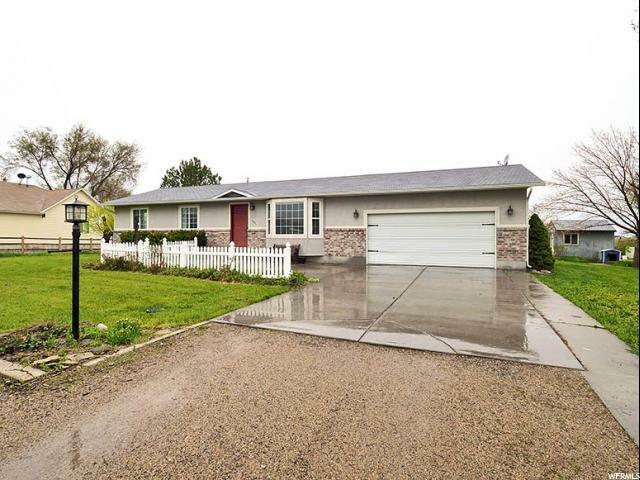 All Erda homes currently listed for sale in Erda as of 04/21/2019 are shown below. You can change the search criteria at any time by pressing the 'Change Search' button below. 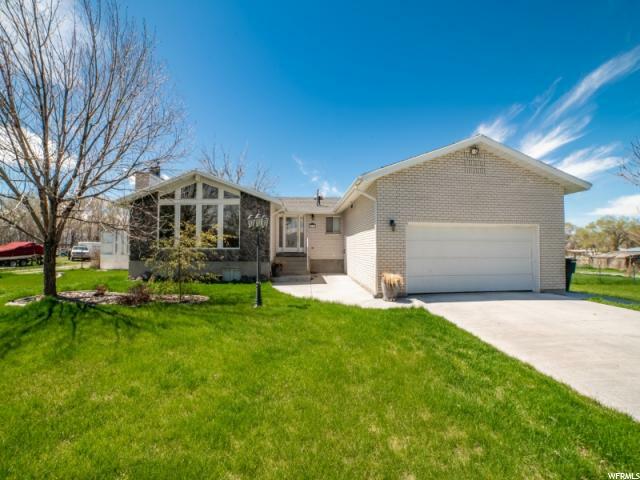 If you have any questions or you would like more information about any Erda homes for sale or other Erda real estate, please contact us and one of our knowledgeable Erda REALTORS® would be pleased to assist you. "Amazing home and setting! Enjoy the mountains and lake views on nearly 5 acres of property. Beautiful views from the enclosed living room deck. This custom home offers a cozy yet open plan from the extra sitting room in the master to the extra large kitchen island bar seating 6. Incredible finishes throughout the home. Basement is fit for entertainment and ready for completion thanks to already existing lighting, stub wet bar and bathroom plumbing. Cold storage and a home workshop are an added bonus. Home borders BLM land (think forever views and privacy). Well kept and still feels brand new! Large Entry area, Formal living room. Extremely large Master Bedroom with separate sliding door to patio, Large open area for Family Gatherings. Cold Storage room." "Distinctive custom home on horse/animal property, full 2 acre ft h20 inc. - Craftsman style elements make this property one of a kind! 10' ceilings, maple flooring and solid walnut cabinetry, built-in bookcases and craftsman style pillars surrounding the formal sitting room, stained/leaded glass and real wood crank/casement windows, and a butlers pantry add to this highly desirable floor plan. True office space with its own fireplace and natural se sunlight. Grand great room with double french doors opening onto the covered back deck. Great room is central to all main living spaces and welcomes you with the second of three fireplaces. Kitchen is nothing less than an expression of style, functionality and art -- double ovens, pot-filler serving the 6 burner Viking range and vast high grade granite countertops to create your own culinary art! Formal dining space with access to back deck as well. Laundry room is bright and brings as much FUN to functional as it is able - folding & hanging spaces are ample. Each bedroom is complete with a walk-in closet and its own on suite bath. 6' tubs, separate showers, heated floors, and linen closet. Master bedroom has french door onto back deck, master bath is complete with travertine, double vanity, and enormous closet. High efficiency furnace & central air, double hot water heaters, and a water softener are at the foundation of this stunning property. Unfinished basement with separate entrance provides a variety of possibilities for new owner. Attached garage is extra in all directions - utility sink and room for all the toys... more storage space in the attic. if that isn't enough, property includes a 50x60 barn that is equipped with tack room, and 12x50 cowboy porch, overhead doors are powered and this place is meticulously cared for! Storage shed on concreted pad too. Orchard is getting established, grounds are manicured and meticulously cared for. " 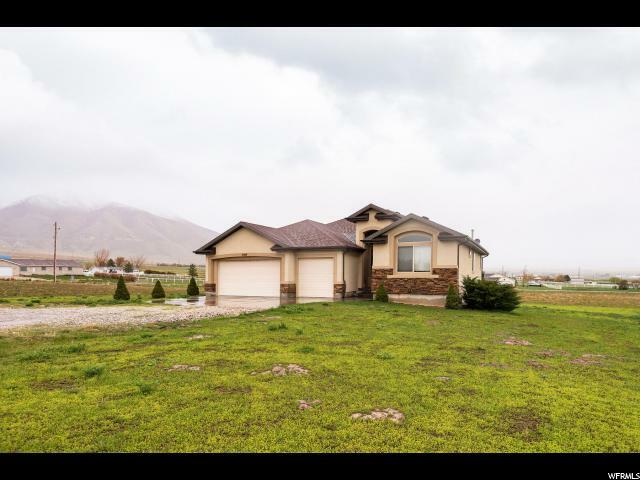 "Live 25 mins to Salt Lake in this 6 bedroom home on your 7+ plus acre lot. Wide open spaces with amazing views. Nice open floor plan with chef's kitchen. Viking appliances and granite countertops. Heated floors in bathrooms, central vac, humidifier, etc. The house was built well and is in great condition." "YOU HAVE TO SEE THIS HOME AND YARD! PERFECT FOR THE URBAN FARMER! This house has everything if you're looking to be self-reliant. 5 acre lot with beautiful views, very well kept and manicured. Includes: above the ground pool, hot tub, pavilion to cover bee hives or hay, small orchard in front (pear, peach, cherry, apple and plumb), barn, pasture, dog run, chicken coop, small silo for grain, tool shed, garden, fire pit, plenty of RV space, pig pen, strawberries and raspberries, horse property, plenty of grass to play and newer roof, and new well pump. This home is a must see for a family wanting room to roam. Call to schedule your own private showing. Listing details to be verified by buyer and/or buyer's agent. " "Priced to sell quickly! 5 Spacious Acres of Picturesque Country Living. Horse Property, 2 Water Shares with 6 more Water shares available for purchase. Barn converted into a Mother in law apartment/Airbnb/shop. Build out is almost finished, ruffed in with kitchenette and full bath. Seller will finish the apartment for an additional 15k. Home is Updated with Exterior New Windows, Soffit and Rain Gutters and so much more! Inside you will Find Beautiful Hardwood Floors and Bright Bay Windows. Kitchen is Exceptional with Granite Countertops and Double Ovens. Other Features Include: Walk-in Closets, Water Softener, and Special Watering Upgrades including a new water wheel system for the field on the Property. All this and More Makes this Home a Must See!!" "5.11 acre horse property with beautiful mountain and lake views. 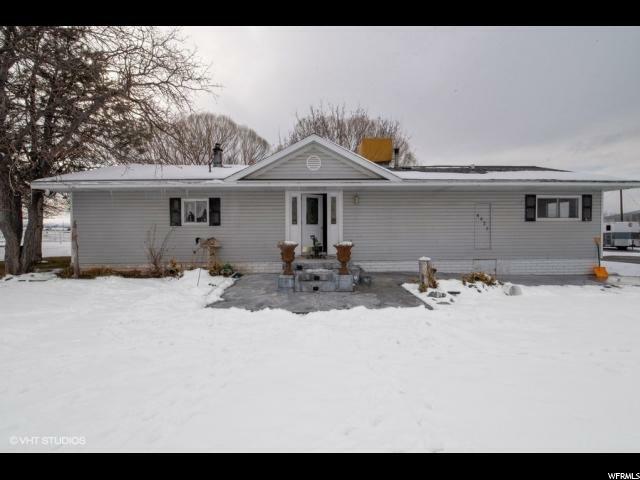 Very quiet location 30 min from downtown Salt Lake City and 20 min to SL international airport. 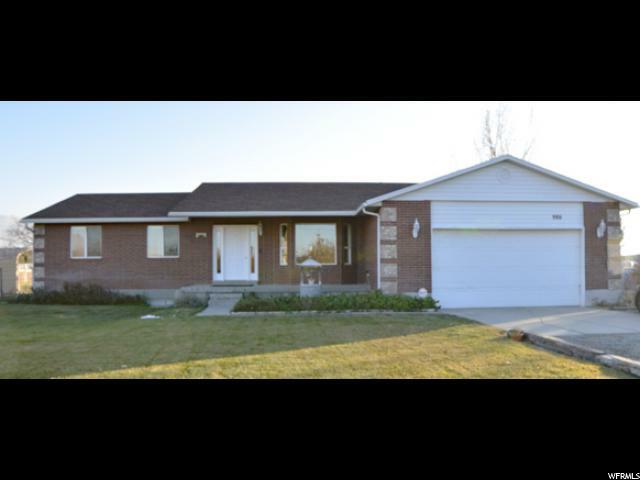 5 min to downtown Tooele for restaurants and shopping. Great floor plan. Seller will install carpet in just finished basement bedrooms before closing. Garage is oversized and one bay has a tall door and is extra deep." "Build this great floor plan or choose your own. This floor plan is open with a good size kitchen and dining room, fireplace, granite countertops, upgraded cabinets and flooring. 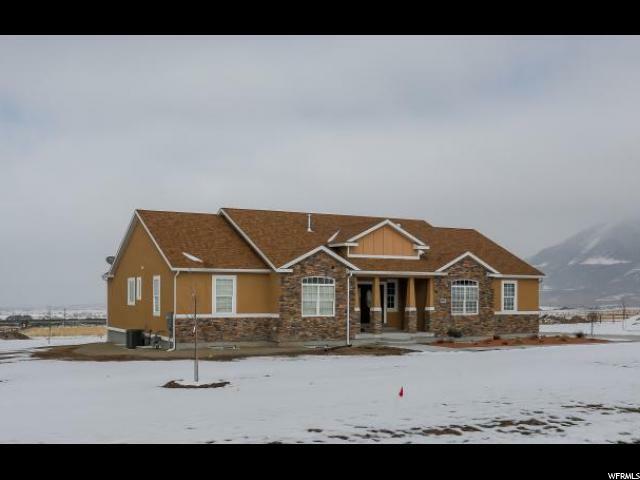 Enjoy a new home on 2.5 acres in east Erda! Call or text for details!" "Enjoy country living at its finest down your private drive. 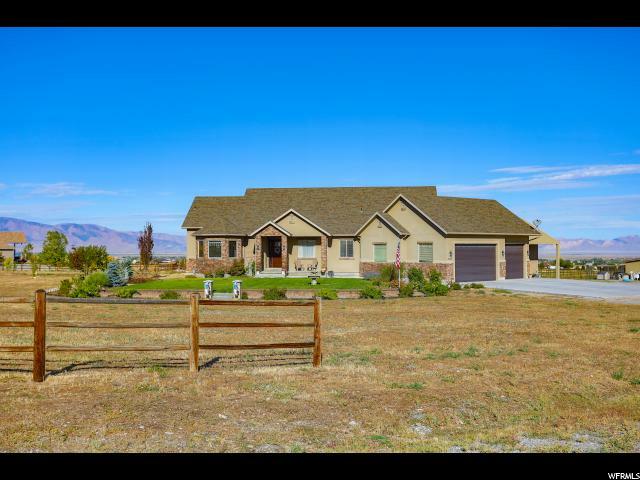 This 5 bedroom rambler sits on over 2 acres with unobstructed views of the Tooele Valley and surrounding mountains. Enjoy the peace and quiet 30 mins from downtown Salt Lake City. The property is divided up in pastures and comes with a 10 stall barn. Adjacent 1 acre parcel also available for purchase. " "This well kept home is move in ready! Perfect for the tinkering, car enthusiast or woodworker with an amazing 30 X 30 shop on the property. The property is also zoned for horses. There is a three resident, private well. Enjoy relaxing in the sun room and entertaining at the basement bar"
"OPEN HOUSE: Saturday 4/20 from 11-1. RARE OPPORTUNITY to own 1 Acre of prime horse property in up and coming Erda!! 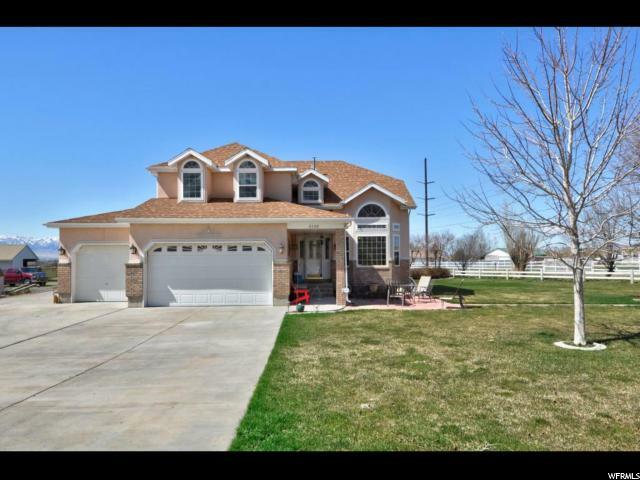 Come and see this great home in a peaceful and serene neighborhood. You will feel right at home the moment you walk inside and notice the gleaming laminate flooring, sunny bay box window and open, vaulted ceilings. The kitchen is an entertainers dream with fresh white cabinets, gas range and open dining area complete with modern barn door. The large master bedroom has its own en suite bathroom with giant jetted tub, separate shower and double sinks. The main level also features an additional bedroom, full bathroom and laundry room with extra storage. The fully finished basement has a second family room, large cold storage and three additional bedrooms that are perfect for family or guests. 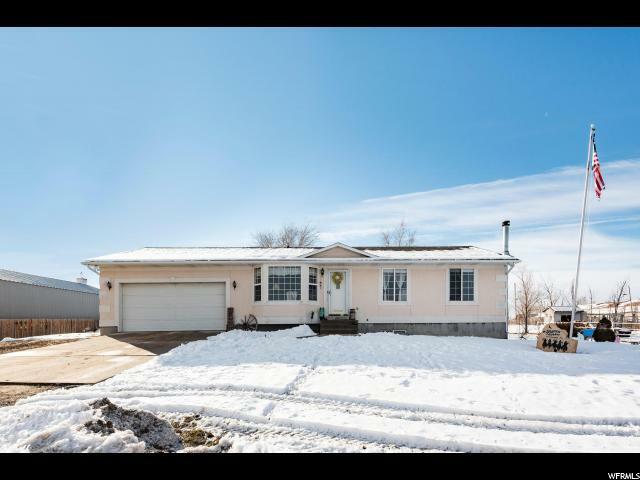 The massive back yard is the real selling point with 1 full acre of land, covered patio, basketball area, storage shed, full sprinkler system, mature apricot tree, garden area, fox-proof chicken coop and space for horses! Located just minutes from transportation, schools, parks, outdoor recreation and more, this is one home you will want to see for yourself! AGENTS - READ AGENT REMARKS BEFORE SUBMITTING AN OFFER "
"Horse property sitting on 1.72 acres with a concrete 40x80ft barn with 10 stalls. House has a lot of updates, new floor was installed on December 11. Has wood burning stove and pellet stove. House will continue to be updated until sale. Buyer is advised to obtain an independent measurement. "